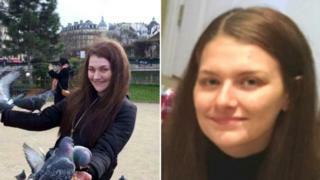 Mourners have said the discovery of Libby Squire’s body is “the end of hope” as tributes were paid to the student. The 21-year-old’s remains were found in the Humber Estuary on Wednesday, seven weeks after she was last seen alive. Flowers and messages have since been left on a bench near Ms Squire’s student house in Hull. The city’s Minster held a minute’s silence and invited people to light candles in Ms Squire’s memory. The bench on Beverley Road, close to the junction with Haworth Street, has become a focal point for those wishing to remember Ms Squire. Bernadette Barron, 67, who lives a few blocks away from the student’s home on Wellesley Avenue, said: “It’s such a tragedy. We were hoping and hoping for something positive. It’s just heartbreaking. “The whole community has constantly been on the alert. “It’s just the end of hope. It’s just gut-wrenching. Craig Whittles, 46, who lives in Bransholme, three miles away from the scene, said: “It’s so sad. She had a full life ahead of her, so I thought I’d pay my respects. Beauty therapist Stacey Morgan and hairdresser Hollie Lindop both work at MA Hairdressing and Spa salon, which overlooks the bench where Ms Squire was last seen, and left flowers at the scene “to pay their respects”. “It’s just been really sad and awful,” said Ms Morgan. She said the community had “come together to support each other and stand strong”. In a tweet, Hull Minster said it offered “our deepest condolences at this devastating news”. Prof Susan Lea, vice-chancellor at the University of Hull, said staff and students were “all absolutely devastated by the loss of our student, Libby Squire”. “Our hearts go out to Libby’s family and friends at this incredibly difficult time and we will continue to give them our full support,” she added. A 24-year-old man arrested on suspicion of abduction remains under investigation, police said. Pawel Relowicz, of Raglan Street in Hull, is remanded in custody on unrelated charges of burglary, voyeurism, outraging public decency and receiving stolen goods. On the night of her disappearance, detectives think Ms Squire got a taxi at the Welly Club music venue before arriving at her student house in Wellesley Avenue at about 23:30 GMT, where her mobile phone was found. They do not believe she entered the house and have said her phone “has not provided any further insight as to her movements that night”. She was spotted on CCTV 10 minutes later near the bench on Beverley Road, where it is thought a motorist stopped to offer her help.